If Ella Yellich O’Connor seems like the class weirdo, that might be because you don’t know about the rich history of dark-minded, strong-voiced female artists from New Zealand, or about (as the Cramps once put it) what’s inside a girl. As the hit singer better known as Lorde demonstrated at the first of two shows at the Greek Theatre last night (she plays again tonight), kiwis can be strange fruit. Eschewing choreography, headsets, and most accouterments of today’s pop stars, she simply grasped a mic, alternately belted and chanted, and periodically spasmed rhythmically, sending her long curly mane and limbs flying. My 11-year-old son dubbed her signature move “Blair Witching”; I say Van Morrison on Ecstasy. Accompanied only by a keyboardist and drummer—no backup singers, dancers, hype men, or even guitarists—the goth soul singer embraces an austere minimalism. The coolest special effects were smoke-filled bubbles that occasionally blew across the stage then burst into puffs of gray. Lorde expresses existential emotions with a confidence way beyond her 17 (!) years. Hers is a voice of difference but not diffidence. And yet, her 2013 debut album, Pure Heroine, went where few of her musical foremothers (Kate Bush, Bjork, Judee Sill) have dared: to number 3 on the Billboard 200. Last night, the brimming venue sang along with her unprocessed alto on her unlikely number-one hit “Royals,” a postcolonial anthem that rejects the materialist imperialism of commercial American music for a kind of downhome (or down-under) individualism. In some ways, Lorde is the anti-Beyonce. Lorde even, cornily, asked her fans to raise lighters and cell phones to the sky. (To paraphrase a poet, I don’t know about you, but I’m kind of tired of being told to throw my light up in the air.) Singing along with preset tracks, as she did, has inherent limits. It would be great to see what she could do with backing singers or as the leader of a full band. But there’s plenty of time for that. Seeing her last night reminded us of catching a teenage Alicia Keys just before the release of her debut album. Lorde’s arch skepticism may not land her on the charts forever, but it could help ensure a long, healthy career. 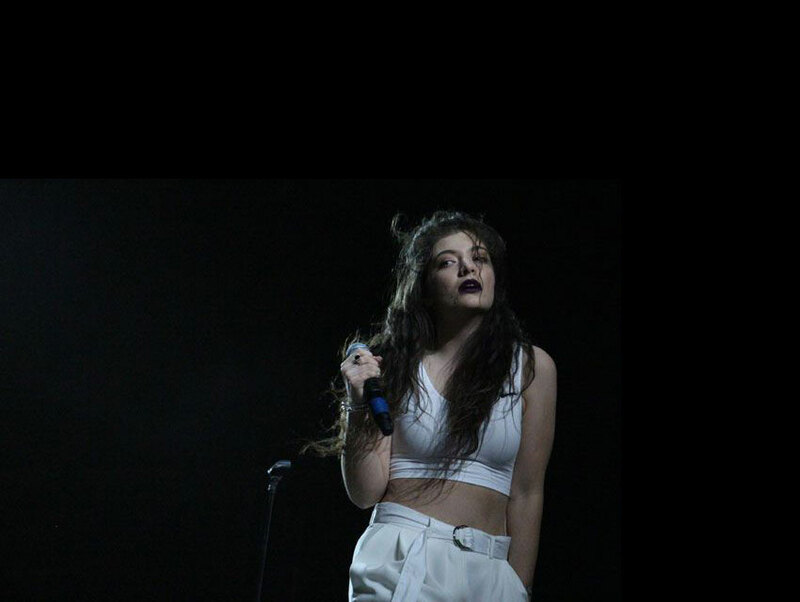 Lorde plays the Greek Theatre tonight, Oct. 7, at 7:30. Tickets: $40 – $65.